CHILDREN’S BOOKS: Some Weird Picture Books That Are My Favorites. Happy New Year! Thought I would get a few recommendations down as I got back to work. These are some picture books that are so weird and wonderful and crazy that adults can enjoy them as well. There’s tons of books like these out there, but these are a few of my favorites. This is a really cool book by Matt Furie, whose artwork is colorful, surreal and kind of creepy…but overall, very gentle. 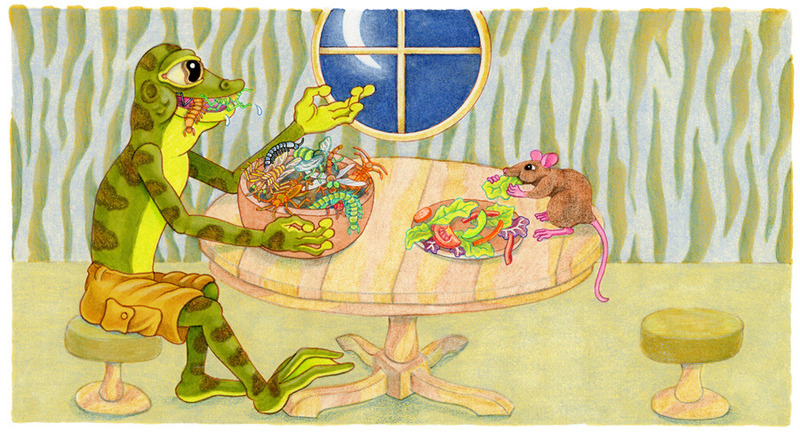 It’s a simple tale about a frog and a rat who go for a nighttime bike ride, meet up with some weird creatures who turn out to be friends, and then they all head to the beach together. 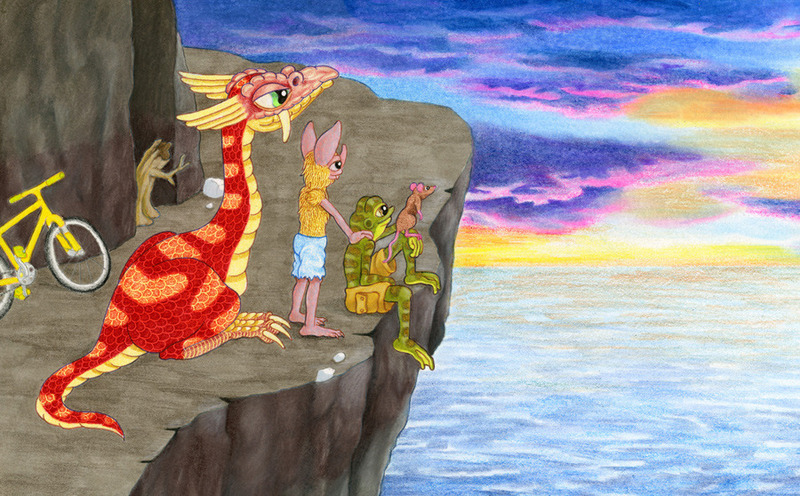 Furie does some crazy-detailed pages with creatures lurking in every corner, but despite the seeming threat of danger, the book is more about revealing all sorts of wonders around every corner, and will make you smile more than once. The book is part of a new line from McSweeneys called “McMullins,” which combines reprints of lesser-known picture books with new ones by alternative cartoonists. You can buy THE NIGHT RIDERS, which is on sale half-off, here. And (self-promotion) you can check out an interview I did with Furie on the book here. I also recommend BENNY’S BRIGADE, an adorable tale of a tiny walrus illustrated by the great cartoonist Lisa Hanawalt. You can check it out and order copies here. 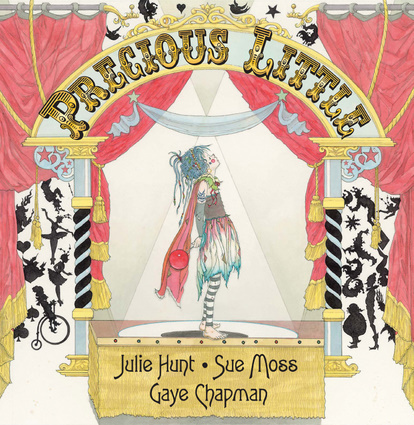 Another recent picture book I liked was Precious Little, an Australian story about a little circus girl who attempts a dangerous stunt that is a metaphor for following your dreams. The book is filled with crazy-detailed colorful images, and even some glitter on the cover. Here’s a little trailer for it. 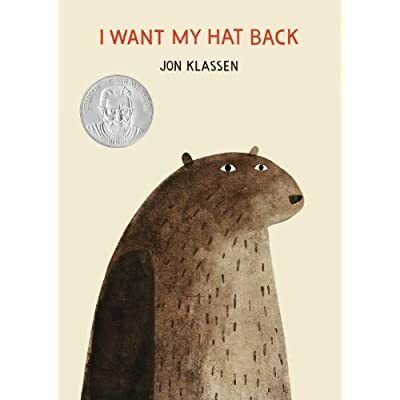 A lot of the better-known picture books go on by me — I love Mo Willems, obviously, but a lot of the more popular books are just off my radar. 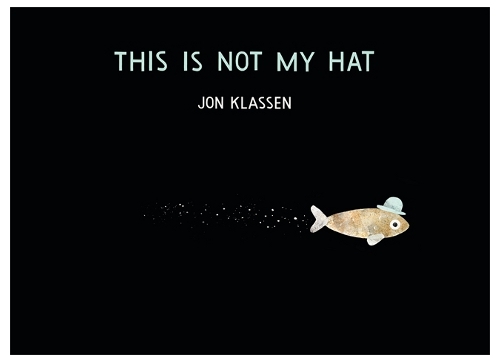 I do love Jon Klassen’s “Hat” books, though — I Want My Hat Back and This is Not My Hat. Both are hilariously deadpan stories about stolen hats, and what happens to those who steal them. There’s a slightly mixed message in both books, but I love the expressive, minimalist images and prose, and both made me laugh out loud. Both are also fun reads for kids because they involve the reader being one step ahead of the characters telling the story. Here’s a trailer for the first book. 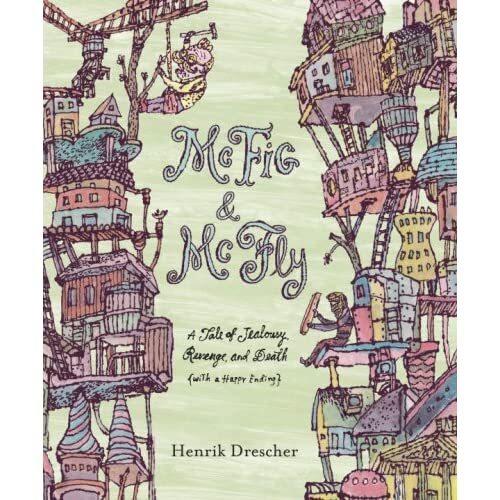 A book I just randomly found on the discount rack at a children’s bookshop was McFig and McFly: A Tale of Jealousy, Revenge and Death (With a Happy Ending) by Henrik Drescher. This is your typical “two rival neighbors try to outdo each other’s houses” story, with the bonus that the increasingly-tall houses get more and more colorful, detailed and surreal, leading to a fold-out page with a hilariously dark punchline. But as I said, there’s a happy ending — and a nice point about not obsessing over material possessions. If you click the Amazon link above, the book is available at a good discount. I want to save my thoughts on some older children’s books for another post, but a few quick ones here! Tove Jansson’s Moomin books are hugely popular all over the world, but they’ve just gotten a major push in the U.S. in the last few years, with reprints of both the original chapter books and her comic strips with the characters. Two particularly cool reprints are some picture books Jansson did in the 1950s, which have just recently been reprinted in the U.S. 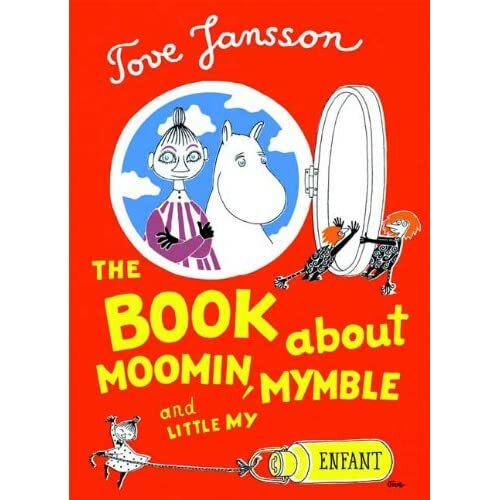 The Book About Moomin, Mymble and Little My takes Moomin, the hippo-like hero, on a quest to find Little My, with every double-page spread leading into the next through cleverly-hidden die-cut holes in each right-hand page. It’s spooky but ultimately comforting, with a joyous combination of black-and-white figures with colorful backgrounds. 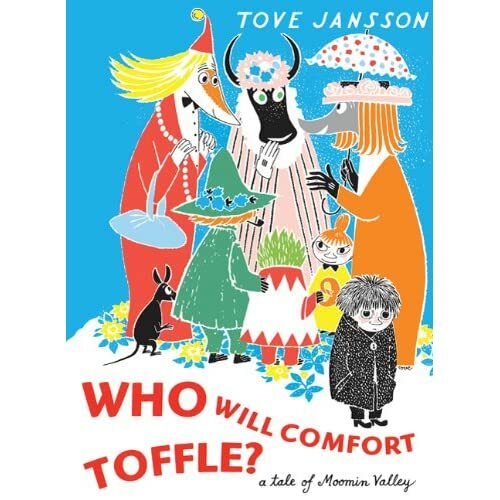 Jansson takes these themes even further with her other Moomin picture book, Who Will Comfort Toffle? : A Tale of Moominvalley, where a painfully shy, anxious character must ultimately pull himself out of his isolation to save another who could be his friend. It’s a sweet metaphor and the art gets amazingly detailed, climaxing in a gorgeous water parade with the characters in boats. They’re a great entry point for young readers into the Moomin series, and I also recommend the recent color collections of storylines from the Moomin comics by Drawn & Quarterly. Some books from the 1980s I want to recommend are by the team of Arthur Yorinks and Richard Egielski. They are WEEEEEIIIIIIIRRRRRDDDDD, but good. Louis the Fish is an oddball tale about a young man who is expected to take over his family’s butcher shop, but prefers to hang around fish. This leads to a very surreal dream where everyone around him turns into angry fish, and an equally surreal (but happy) ending). It is one of the most New York picture books I’ve ever experienced — very based in the concept of the old neighborhood and family businesses, but in a way that kids from anywhere can find relateable. I remember watching this on READING RAINBOW (where it was narrated by Vincent Gardenia from LITTLE SHOP OF HORRORS) and thinking this was the most utterly weirdo book I had ever seen on the show. Here’s the episode (with updated contemporary credits) below. Here’s a short adaptation of the book below. I’ll have some more books to talk about in the future — I could devote a whole post to Mark Stamaty’s stuff! Let me know if you enjoyed these.